One of the things I noticed recently was that Little Dude is curious about the wind. When he sees leaves or plastic bags moving in the wind, he gets excited, and wonders how they move on their own. I have told him about the wind, but sometimes he isn't very perceptible to a breeze, and I think he suspects that inanimate things sometimes move by themselves! 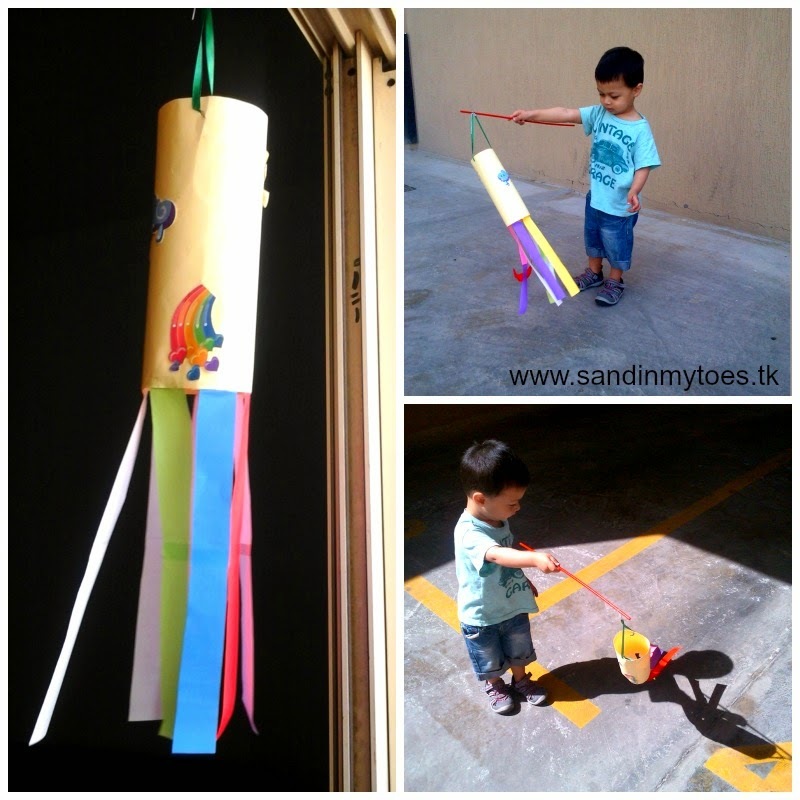 So, I thought of combining an activity with learning about the wind, and there are so many ways to do it. The simplest one is making a windsock. I put it together with the bits and pieces I had at home, and Little Dude decorated it with some weather-themed stickers. There are no 'making' pictures because this one wasn't suitable for him to do on his own, and he just wanted to play with it! I used card stock and some coloured paper to put it together. I made holes at the top to thread a ribbon through, and it was done. I attached it to a balloon stick so it was easy for him to hold and run around with it. First, I hung the windsock on our balcony frame, and he was delighted to see it sway in the wind - sometimes slow, and fast at other times. Later in the afternoon, we tested it ourselves outside. He had a good time as there was a lovely breeze. All in all, I think he has a better understanding of wind and it's effect on other things. Plus, he has another home made toy to play with! Next on my list would be a pinwheel, and maybe, windchimes. 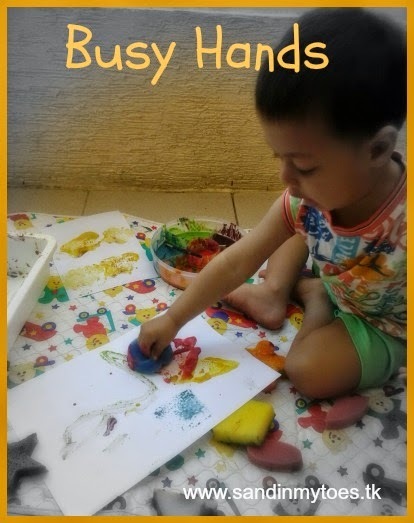 (Busy Hands is a series about activities and craft you can do with toddlers and young children). This post has been linked to Let Kids Be Kids. I love this idea so much- thank you for the inspiration!